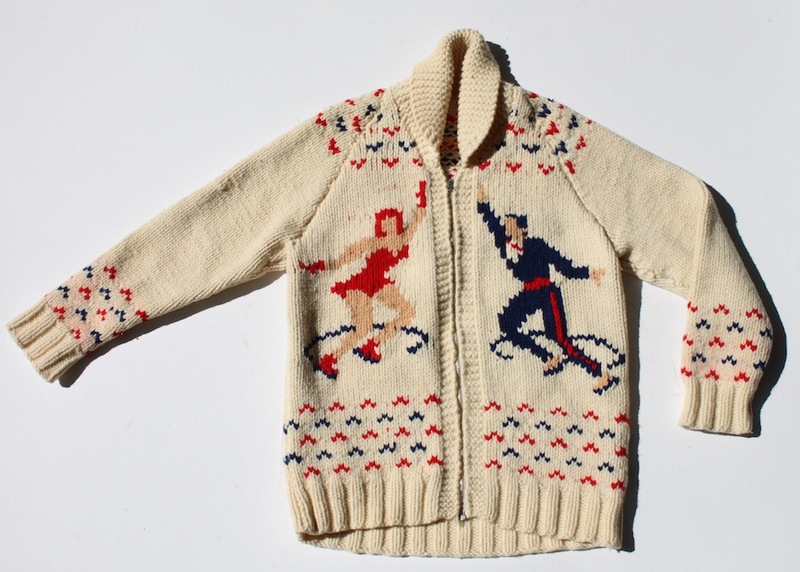 An unusual curling sweater depicting skaters. Two single figures on the front and two figures on the back. The aim of this website is to give an overview of the type of thing one will find among the ever-changing stock at Hornets of Kensington. Call us on 020 7938 4949.